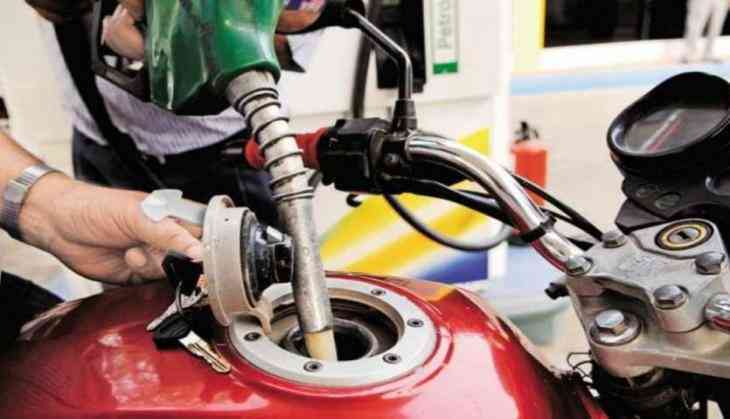 Fuel prices was increased on Thursday with petrol being sold at Rs 78.30 per litre in Delhi and at Rs 85.72 per litre in Mumbai, as per the data provided by the Indian Oil Corporation. Diesel prices shot up to Rs 69.93 in the national capital and Rs 74.24 per litre in Mumbai. Petrol prices in Delhi increased by 12 paise per litre since yesterday and by 13 paise per litre in Mumbai, Kolkata and Chennai. Similarly, diesel prices increased by 14 paise per litre in Delhi and Kolkata while it increased by 15 paise per litre in Mumbai and Chennai. Diesel in Kolkata is now sold at Rs 72.78 per litre while petrol cost has gone up to Rs. 81.23 per litre. In Chennai, diesel was seen retailing at Rs 74.86 per litre and petrol at Rs. 81.35 per litre. According to media reports, this is the fifth day of petrol and diesel hike by the oil marketing companies. On August 26, petrol was sold at Rs 77.78 per litre in Delhi and at Rs 85.20 per litre in Mumbai while the cost of petrol in Kolkata was Rs 80.71 per litre. The hike was not limited to petrol alone as diesel prices also saw an all-time-high record price in the national capital.